In a linear world, the act of training a new employee comes after that employee is hired. But, as great leaders know, business isn’t always linear. Your training process has a direct impact on whether you need to hire that new employee in the first place. In many industries, especially ones where turnover is high, many employers make the mistake of skimping on training because they just don’t feel like it will pay off in the long run. Set the stage at orientation. 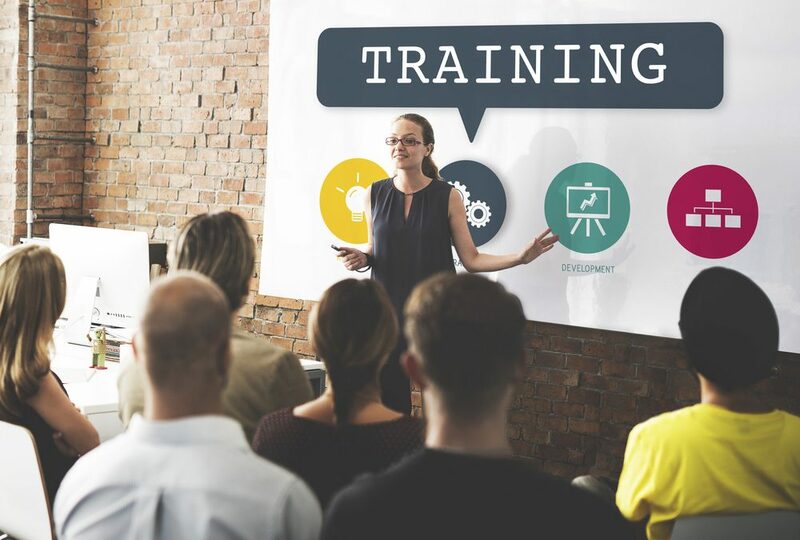 Effective orientation programs improve staff retention by inspiring confidence, encouraging skill development, and re-affirming the employee’s decision to accept a position with you. Build a career path. A training process that supports career progression rather than focusing on mastering one task at a time will create employee loyalty. Many online learning management systems will allow you to customize learning road maps depending on each employee’s long term career goals. Train from the top-down. Training isn’t just for front-line employees. Managers need training, too. Much of your staff’s loyalty and job satisfaction can be impacted by how well they’re managed and how much they respect their managers. Show employees they are valued. When you invest in a comprehensive training program, you’re investing in your employees. Let them know that. Share the “why” behind your training process, and be clear about how their role plays an important part in the company’s overall success.